Snap(shot) Judgements are posts that will appear with no real regularity. It’s primarily a way for us to get thoughts and photos up as soon as possible, especially when we have no plan to write a feature-length column on the subject. 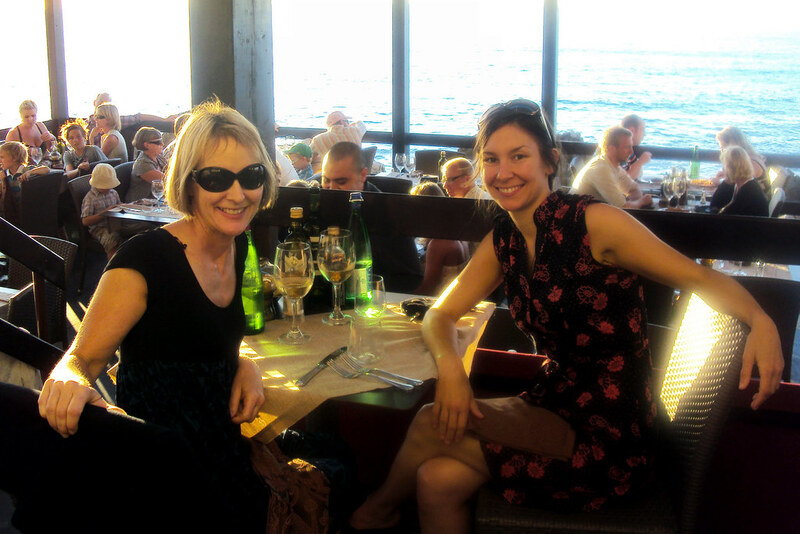 Here, Kate and her mother have a wonderful meal at Al Porticciolo in Cefalù. It was our first full day in the enchanting beach town of Cefalu, our first time ever being on the island of Sicily, and it happened to be Friday night. After a day of traveling, getting settled, lunching, swimming, and shopping, my mom and I treated ourselves to a special dinner and a bottle of wine. We stumbled into this restaurant after reading the menu outside and liking it. We were led outside a terrace even more beautiful than the one we lunched at. Being relatively early (8:00), we got a table. Soon after though, the place was completely filled with families, couples, friends, enjoying one of the most beautiful views in the world. It was a magical place and the food lived up to the ambiance. I had decided to “flex” a bit on the trip. There is a bit of debate as to weather or not mussels and clams actually feel pain. After reading many opinions on it, and wavering slightly, I chose to believe the notion that these bi-valves are like advanced plants, and don’t actually feel much pain. You can leave me indignant comments about being a hypocrite pseudo vegetarian if you want, I probably deserve it. But what can I say? I was on the coast of Sicily. And I enjoyed every bite.